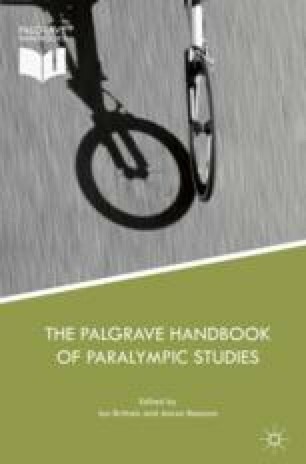 The concluding chapter revisits the central concerns of the Handbook, namely, global shifts in the understanding of what constitutes disability and impairment and how these relate to structural and regulatory developments that have defined an expanding Paralympic Movement. It explores key themes that emerge from the six parts that constitute the Handbook, providing critical insights into conceptual, organisational, political, governance, cultural and strategic concerns that frame the trajectory of the movement. It ends by reflecting on the key challenges facing a Paralympic Movement seeking to establish itself as an international sports and advocacy body in an increasingly unequal and divided world.